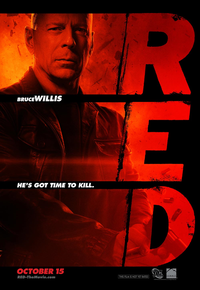 Review Summary: On the whole RED - THE DARK SIDE stands on a weak script. At the box-office it stands no chance! On the whole RED - THE DARK SIDE stands on a weak script. At the box-office it stands no chance! Watch it if you want to see Celina non-perform and Aftab video-walk to Himesh Reshamiya's faltu tunes. A must-watch for Aftab fans, but apart from that nothing can save Red from being a flop and an utter disappointment. The sound effects are muscular, the leading men and women are feisty, and if you're just interested in watching a bunch of veterans take one last shot at being action heroes and heroines, this movie might offer a mildly entertaining diversion.